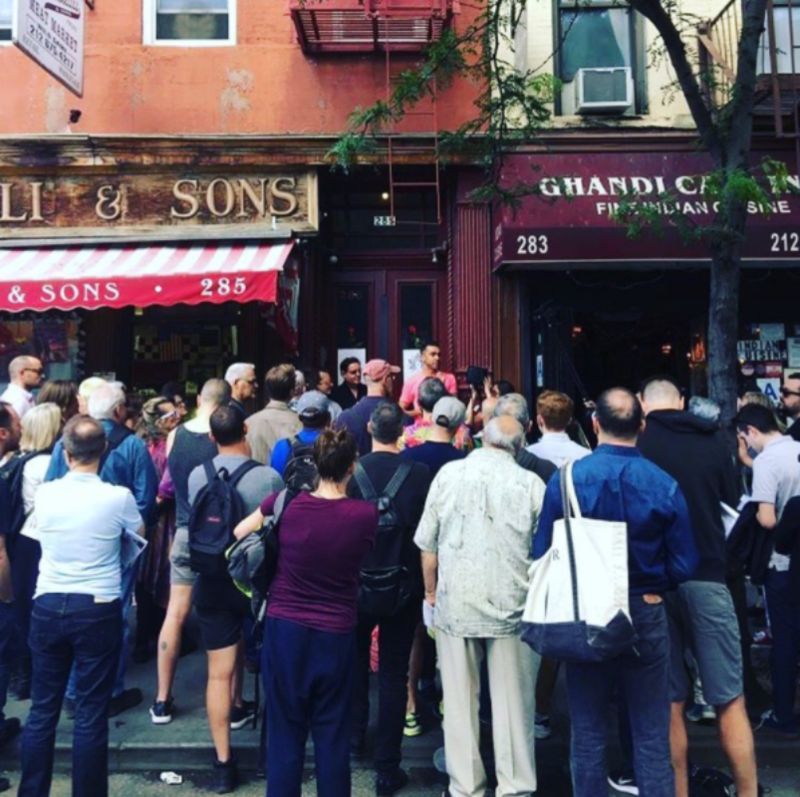 A view of the crowd at 285 Bleecker Street, last address of Ron Vawter and Cookie Mueller, during the 2017 Last Address Tribute Walk. Photo: Ira Sachs. Inspired by Ira Sachs’ film Last Address, Visual AIDS’ past Last Address Tribute Walks have revisited the former addresses of artists lost to AIDS, to remember their lives and highlight their artistic legacies. The annual program has featured doorstep readings in tribute to over 20 artists outside homes in Chelsea, the West Village, the East Village, and the Lower East Side.